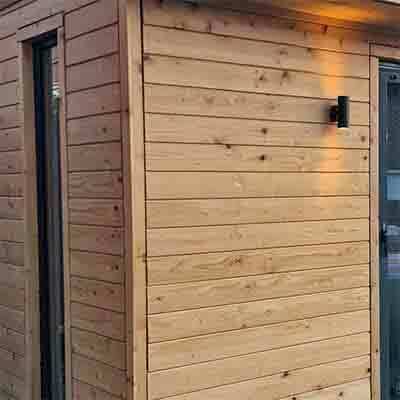 Western Red Cedar is a durable timber suitable for the likes of external cladding, sheds and light construction. It is a fairly easy timber to work with that takes staining well. 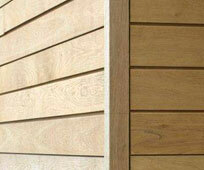 Because of the acidity of Western Red Cedar we recommend the use of galvanised fixings. Although indigenous in North America, ‘western red cedar’ grows well in the UK and has been planted to a limited extent. On favourable sites it reaches a height of 45m to 75m and a diameter of 0.9m to 2.5m. The sapwood is narrow, whitish in colour, distinct from the heartwood, which varies when freshly cut from dark brown to salmon pink, assuming a fairly uniform reddish-brown colour after drying, and turning a grey colour after prolonged exposure to weather. 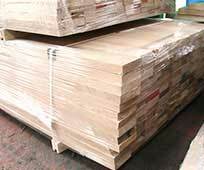 The wood has a prominent growth-ring figure, is non-resinous, and coarse textured, and weighs about 390 kg/m3 when dried. The timber from home grown trees generally contains numerous small knots as opposed to the more or less knot-free imported timber, but since the species has not been established in the UK long enough to produce really large trees, it is probable that in time the proportion of high-class wood will increase considerably. Home grown material is rather difficult to dry ; thin sizes dry quite well without much degrade, but there is a distinct tendency for collapse to develop in thick stock, the wood retaining its moisture at the centre for a relatively long time. Drying must therefore be carried out slowly and progressively. 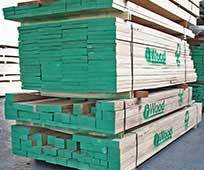 A soft, lightweight, rather brittle timber, with correspondingly low strength properties. A fairly easy timber to work and machine, although knots may be troublesome and the soft, early-wood bands generally tend to tear in planning and moulding. It takes stain and paint readily and screws and mails reasonably well. According to quality, it is suitable for exterior cladding, green-houses, sheds, bee-hives, shingles, light construction. The wood is acidic and tends to corrode ferrous metals in contact with it ; protective coatings should therefore be applied to metal fittings and fixings e.g. hot-dipped galvanised, or they should be non-ferrous, e.g. copper.